Approx 8 Litre capacity. Stainless steel. 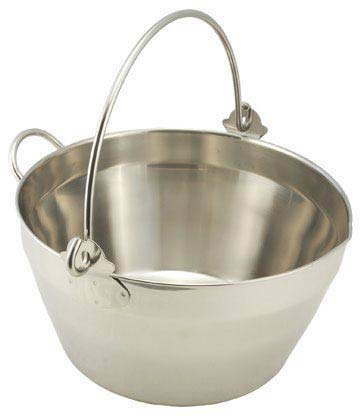 Perfect for making your favourite homemade jams, preserves and chutneys the traditional way. Wide diameter top helps rapidly evaporate excess liquid without boiling over. 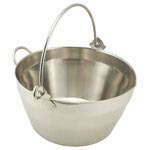 Also useful for extracting juice from fruit when making homemade wine and for reducing sauces. Suitable for use on all cookers but not inductions hobs.